"Yet as soon as a religious community enters the field of political action and tries to deal with problems of social organization, it is bound to take into account earthly concerns, however this may conflict with its dogmas and articles of faith. No religion in its exoteric activities ever ventured to tell people frankly: The realization of our plans for social organization will make you poor and impair your earthly well-being. Those consistently committed to a life of poverty withdrew from the political scene and fled into anchoritic seclusion. But churches and religious communities which have aimed at making converts and at influencing political and social activities of their followers have espoused the principles of secular conduct. In dealing with questions of man's earthly pilgrimage they hardly differ from any other political party. In canvassing, they emphasize, more than bliss in the beyond, the material advantages which they have in store for their brothers in faith." There is at least one clear counterexample to Von Mises' claim. In the infamous Pigs In Streimels rally, various charedi gedolei Torah sought to dissuade the audience of Beis Yaakov girls from attending charedi college programs. Most of the speakers promised the girls that by obeying their directive, they would be blessed with adequate parnasah. However, Rav Moshe Hillel Hirsch of Slabodka Yeshivah stated frankly that modern charedi society puts people in a very difficult financial position - the women do not earn enough of a salary to support the family and the husband is in kollel - but, he stated, the spiritual price of the wife attending a chareidi college is too great to pay, and charedim must consign themselves to ever-worsening economic ruin. While Rav Moshe Hirsch's scale of values is hard for the rest of us to accept, his honesty - directly refuting Von Mises' observations about how religious communities usually function - is very refreshing! Referring to what ultimately are obscurantist Chasidic/Jewish sects is probably not what Von Mises had in mind. In 1949, he was more likely referring to (Christian/Evangelical) mass movements that were involved in the (modern) US political landscape and had the ability to mobilise on a significant scale. "But churches and religious communities which have aimed at making converts and at influencing political and social activities of their followers have espoused the principles of secular conduct". I think the case of the Chareidi parties in Israel is a unique exception. Usually religious communities will have to engage with the rest of society to accomplish their goals. However, because of Israel's political system, the Chareidi parties can hold the main parties hostage in coalitions and bully them into passing legislation that is bad for Israel as well as the Chareidim (except they don't think so). For most other cases of religious groups getting involved in politics throughout history, this wasn't possible. I think one more distinction you can make is that most other religious groups, in order to achieve a degree of dominance, have had to engage in proselytizing to a certain degree that has required engaging the rest of society. It's a modern phenomenon that the Chareidi world can achieve a degree of dominance by maintaining a very disproportional birth rate compared to the rest of society. This has been made possible by the combination of increased efficacy of birth control and historically low infant mortality rates. Modern medicine has allowed those who want to limit children to do so effectively. It has also allowed many more mothers to have a dozen living offspring. I don't think it's a contradiction at all. von Mises said that religious groups entering politics will emphasize material reward. Rav Hirsch is not in politics. Look at the Charedi parties in Knesset. They are all about getting handouts for their constituents. "the spiritual price of the wife attending a chareidi college is too great to pay,"
We need to keep in mind here the distinction from sociology of religion between firm/church type religions and club/sect religions. As Mises indicates, sect religions will accept poverty, but will also accept a narrow target audience. Part of the struggle facing Haredi Judaism is that it was designed to operate as a sect. Due to outreach and their birthrate, they have become too large to be a sect and have been forced to make "church" type concessions like Haredi colleges. This has created a schizophrenic situation where Haredim are having to talk like churches and sects all at the same time even if these positions are mutually contradictory. 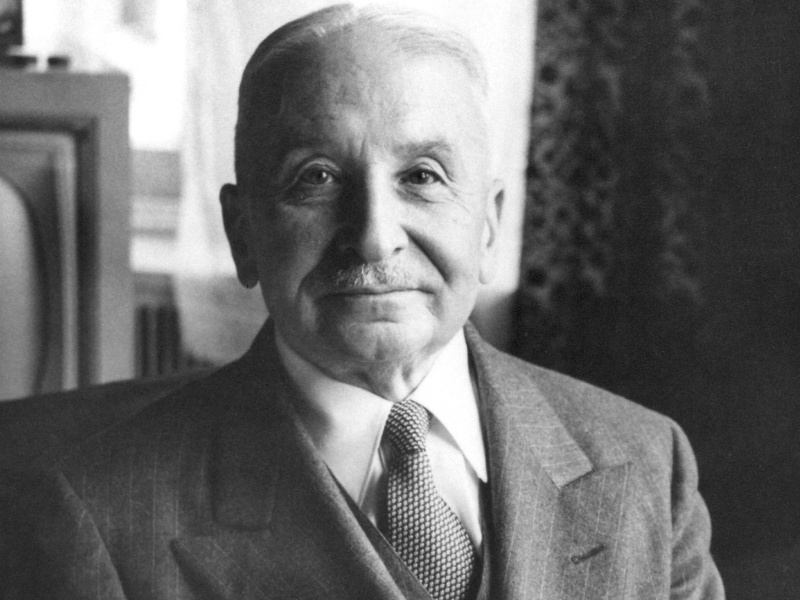 Von Mises is not always accurate in his historical observations, however, I think the objections raised here are not very telling for two reasons. 1) A religious movement (as with any political movement) may promise its followers temporary suffering for future rewards. If not, it would be basically impossible for anyone to got to war. If Rav Hirsch was to make it clear to his followers that Moshiah isn't coming any time soon and current economic trends are just going to continue indefinitely then that would be different. 2) Von Mises isn't saying that a religious movement will never promise its followers poverty, crazy people might do all sorts of crazy things. He is saying that because, as a matter of empirical fact, most people prefer affluence to poverty and have too high time preference to take olam haba into account (or just don't believe in it enough), a religious movement that promises poverty will hemorrhage followers and become a sect. Time will tell. Anyway, mostly I'm just commenting to say how happy I am that Rav Slifkin is reading von Mises! Sorry to disappoint, but this is the only page of his that I have read! Incidentally, one of Von Mises leading American students is also a leading talmid of R. Hutner - R. IM Kirzner. I studied in Slabodka under RMH Hirsch and this was always his personality and his approach to understanding and explaining things - very straightforward, down to earth, honest and simple. Same in his learning and shiurim, which is how he spent almost all of his time until getting more involved in klal matters a few years ago. His approach to learning is to simply try to understand the truest and most honest pshat in the gemara and rishonim, plus a handful of acharonim, by trying to get at what the text is really saying (as apposed to a very simple face value interpretation that one might get from a quick, cursory reading of the text). His is not the approach of trying to impress you with a complicated or even innovative and penetrating lomdus, just trying to get at the simple and real pshat. Often students would go to him with a good question on a rishon or on his shiur (how can the Rashba bring A as proof for B if according to the Rashba's approach C must mean D and then D would have to be a contradiction to A based on the Rashba's approach to the sugya...) and he would close his eyes or stare at the ceiling, sometimes for minutes at a time, and then often simply turn to you and say "a good question" (in cases when he didn't have an answer) and that was it. 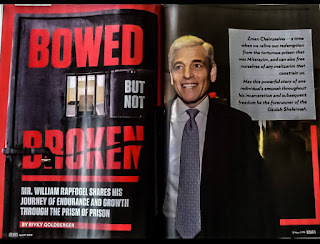 ", the spiritual price of the wife attending a chareidi college is too great to pay, and charedim must consign themselves to ever-worsening economic ruin." Does anyone mention the spiritual price of poverty? Analysts speak positively of Russian IT outsourcing, and we are sure we will pass the development stage faster than the USA and Europe once did. Today, Russian companies can be supported by best practices and processes. This is SPAM. Why was it allowed though? Having a Western-educated wife, who knows law or medicine or whatever, might be problematic in a Haredi home since the husband, the master of the house, knows none of that. Her superior knowledge of contemporary science, etc won't jibe well with his superior knowledge of 4th century science. They will inevitably clash and she'll lose respect for him, thus endangering his status and making him feel like a fool. The kids will thereby suffer and all Haredi society will come tumbling down. Zfriend - I would bet that you are not married. zfriend is correct, that is indeed not only the chareidi argument, but a fair representation of the facts on the ground. Not for naught are chareidi women kept intellectually clueless.